GRMSearch is one of Asia Pacific’s leading recruiters in the areas of legal and compliance, and the firm also has growing practices in the asset management, insurance and front office banking sectors. 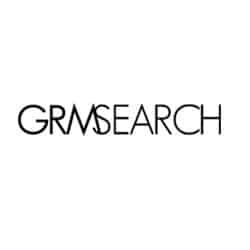 Headquartered in Hong Kong and founded by Londoner and CEO Rob Green in 2009, GRMSearch in its current incarnation officially came to life in 2013, after Green purchased and rebranded a firm he co-founded called CML Recruitment. In just a few years’ time, GRM has expanded rapidly beyond Hong Kong, and now has offices in Melbourne, Johannesburg, and Tokyo. GRMSearch works on both a contingent and retainer basis, and offers its clients a range of research, advisory and talent intelligence services in addition to traditional placements. The firm prides itself on placing ‘candidates’ as opposed to ‘job seekers, ’ given that its database and networks consist primarily of professionals who are already performing at the very top of their respective fields. What is more, GRM’s recruiters not only have established sector expertise in their focus areas – whether legal, compliance, insurance or finance – but also a strong passion for the career development of the professionals they place. Over the next few years GRMSearch aims to scale its business in other markets around the world and deepen its expertise in industries outside its traditional focus areas, such as private equity. To pull it off and remain at the top of a competitive market, Green is determined to remove any unnecessary inefficiencies from GRM’s business. This has created a crucial need for the introduction of improved data management practices and cutting edge search technologies into the firm’s daily workflow. As CEO of GRMSearch, Green is a big believer in the power of technology to transform and maximize workflow efficiency, especially in a highly competitive market such as Hong Kong, which is home to several thousand recruitment agencies. The more he can eliminate – or at the very least minimize – mundane administration tasks for his staff, Green says, the more they can focus on the work that really matters, such as relationship building and closing deals. In the immediate term, GRMSearch is grappling with legacy database challenges that stem from Green’s buyout and rebranding of his previous firm. All of the legacy candidate data needed to be seamlessly updated and transferred onto GRM’s new databases. To do this manually would not only have taken a huge amount of time, but would have also introduced a significant – and costly – margin of error. That is where Daxtra came in. GRMSearch was first introduced to Daxtra when Green met Daxtra’s Asia CEO, Sergei Makhmodov, at an industry trade fair in Singapore. The two hit it off over a conversation about minimizing waste and maximizing efficiency. After a few months of consideration following the Singapore trade fair, GRMSearch signed up for a suite of Daxtra products – Daxtra Capture, Daxtra Search and Daxtra Magnet. Taken together, Green says all three are a powerful force that will help GRMSearch catapult to the next level in terms of productivity and stay ahead of its competition. For its part, Daxtra Search will help GRM recruiters eliminate wasteful hours cross-checking candidates. At the same time, with Daxtra Capture in its arsenal, GRM can rest easy that any new CV data introduced into its systems will be correctly coded in the company’s massive database. And lastly, Daxtra Magnet will help GRMSearch find candidates beyond its own database of elite professionals by arming the firm’s recruiters with a next-generation tool that gives them the power to seamlessly pull candidate data from any website they come across and add it to their databases. Looking ahead, GRMSearch is doubling down on its expansion ambitions, and also reinforcing its commitment to one of the world’s most dynamic markets – Asia. The headhunting markets in Asia are more hotly contested than ever, given the region’s promising growth outlook relative to other parts of the world. According to Green, Daxtra is well positioned to assist GRMSearch as it opens offices in new territories and expands its already significant database of top-flight professionals.